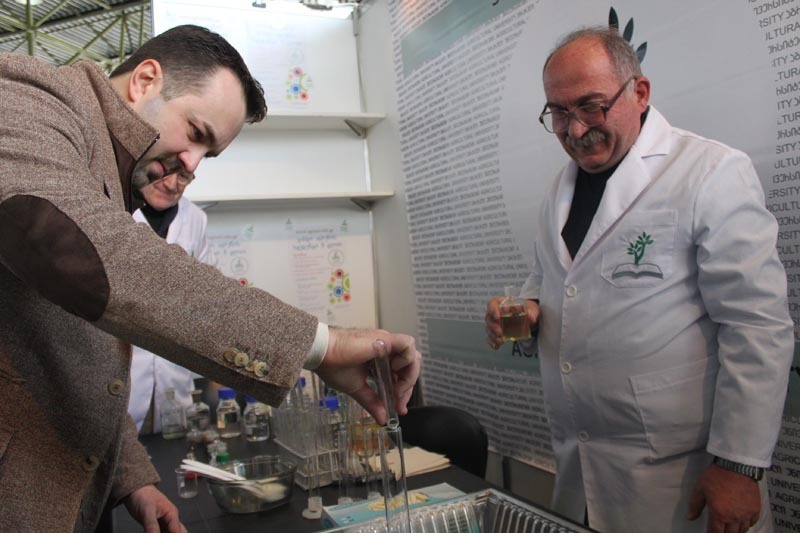 The Minister, Dimitri Shashkini, visited the Levan Samkharauli National Forensics Bureau and observed its science labs equipped with up to date facilities, then, accompanied by the chair of the Bureau, met with the Bureaus students. 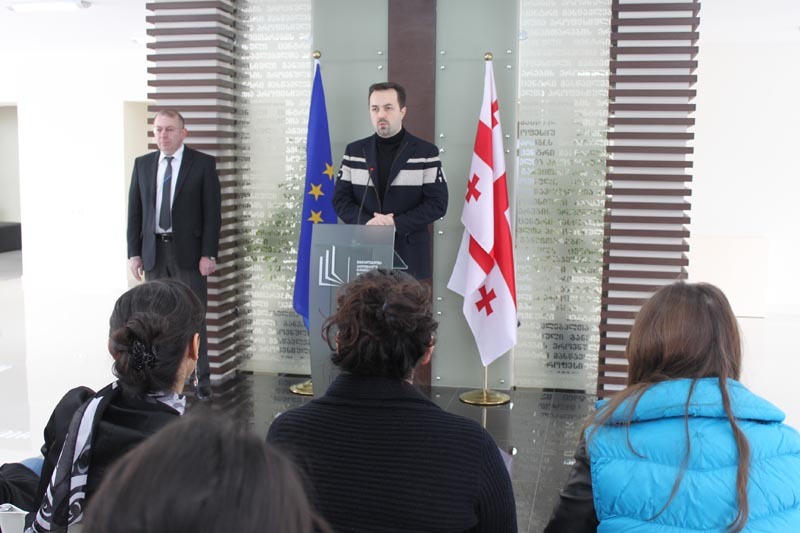 The Minister, Dimitri Shashkini, opened the Criminalistics Lab at the Guram Tavartkiladze Teaching University. The qualified personnel of the lab will teach students different aspects and techniques of criminalistics such as collecting evidence, solving different cases, investigative methods, interpretation of laboratory findings, etc. 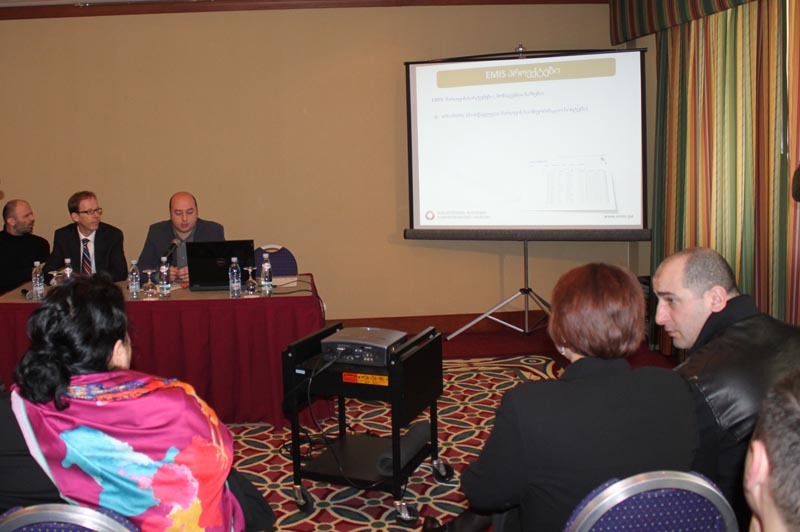 On February 25-27 hotel “Radisson Batumi” hosted the conference of International Association of University Presidents (IAUP), which was organized by the Caucasus University with support of other universities and the Ministry of Education and Science of Georgia. “The Contest in Georgian Calligraphy” organized by the Ministry of Education and Science of Georgia and the National Center of Manuscripts was declared open. 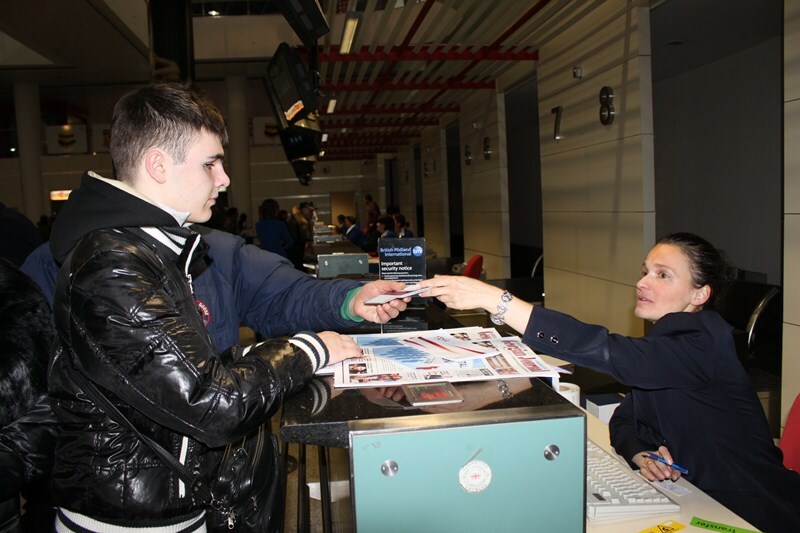 Pupils, students and adults of Georgia as well as Georgian immigrants can participate in the contest. 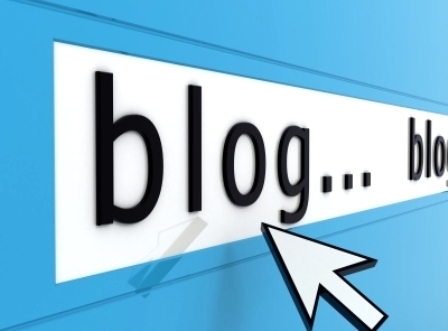 A new web-site, www.edublog.ge, has been launched. This web-site collects articles from all blogs that have information concerning the education sector and reforms currently implemented in the education system of Georgia. The participants of the International Education Fair 2012 met the Minister, Dimitri Shashkini, to familiarize themselves with the ongoing reforms in Georgian education system, to establish contacts with the respective educational institutions, and to launch joint educational projects. In the scope of the Week of Occupation, School Resource Officers (SROs) spent one day with the children of fallen soldiers. 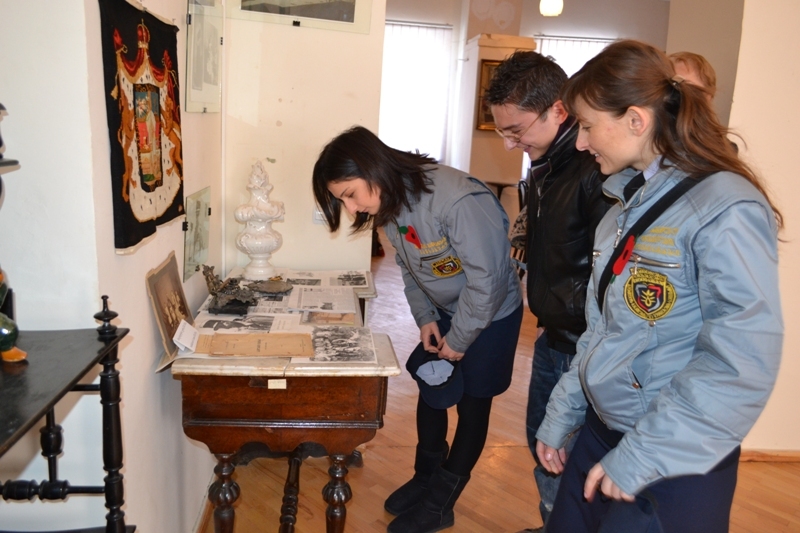 SROs visited the Ethnographic museum with the children and learned about hundreds of different historic facts. 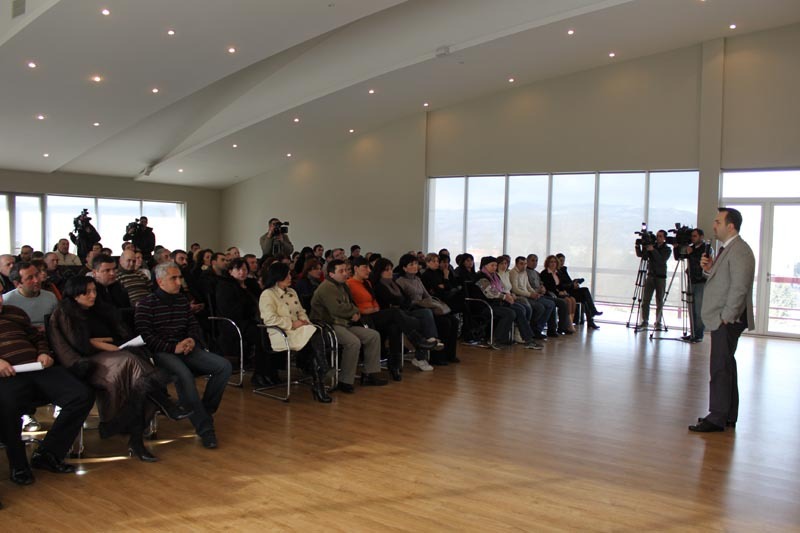 In the scope of the Week of Occupation, another meeting was held at “Green School”. 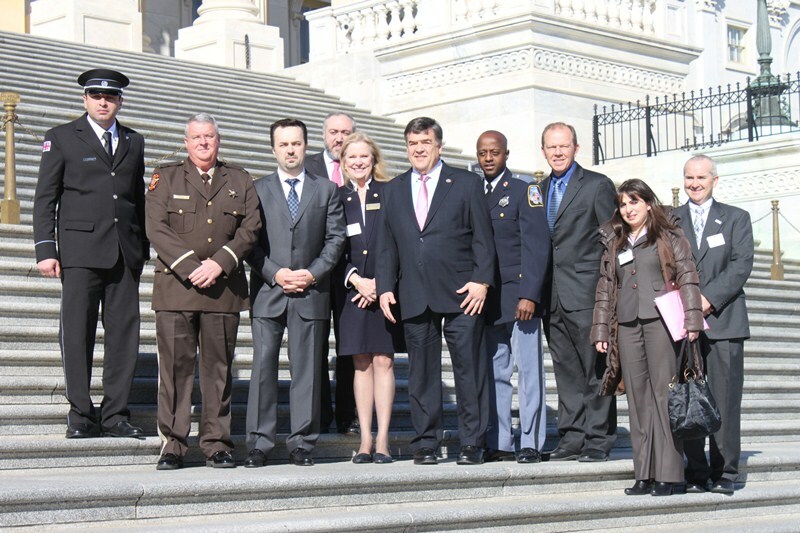 Schoolchildren, teachers and School Resource Officers (SROs) discussed the tragic event of Russian Occupation in 1921. 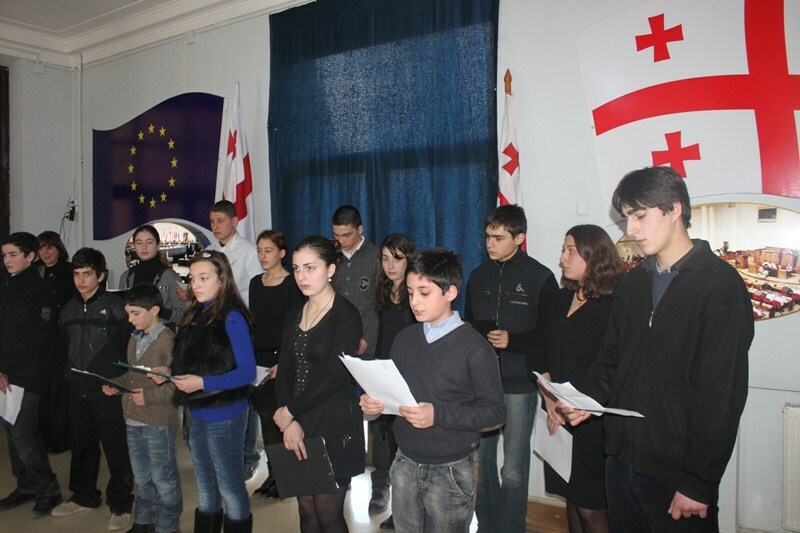 A literature and musical performance was staged at Tbilisi Public School № 52 to commemorate those cadet officers who died in 1921 while fighting for Georgia’s independence. The Ministry of Education and Science of Georgia has organized the contest “Episodes of Russia’s Occupation of Georgia” as part of the "Week of Occupation”. 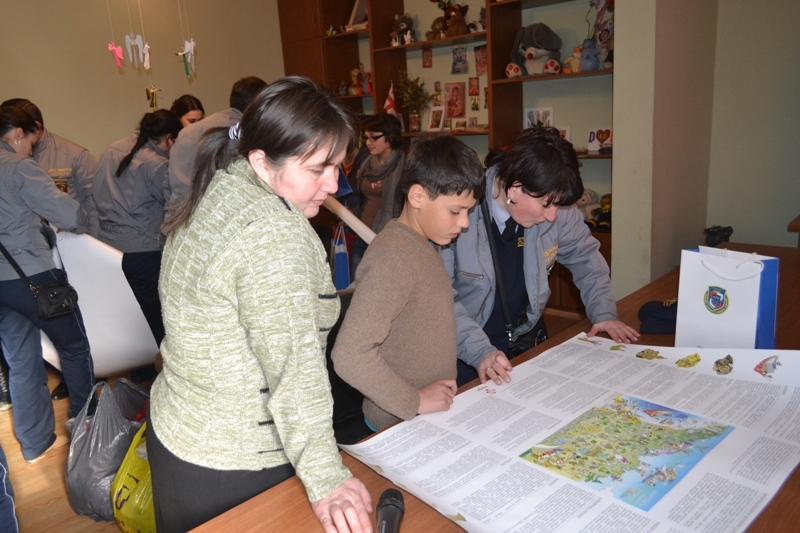 Schoolchildren of Tbilisi Public School №6 held the presentation the project dedicated to the Russia’s occupation of Georgia in February 1921. The schoolchildren had been working on the project for several weeks. In the scope of the initiative “Don’t Worry, Be Healthy”, First Lady Sandra Roelofs and Deputy Minister of Education and Science of Georgia Irine Kurdadze visited Samtredia Public School №11 and met the schoolchildren of 4th, 10th and 11th grades. The Ministry of Education and Science of Georgia hosted the children of soldiers fallen in the Russia-Georgia August 2008 war. 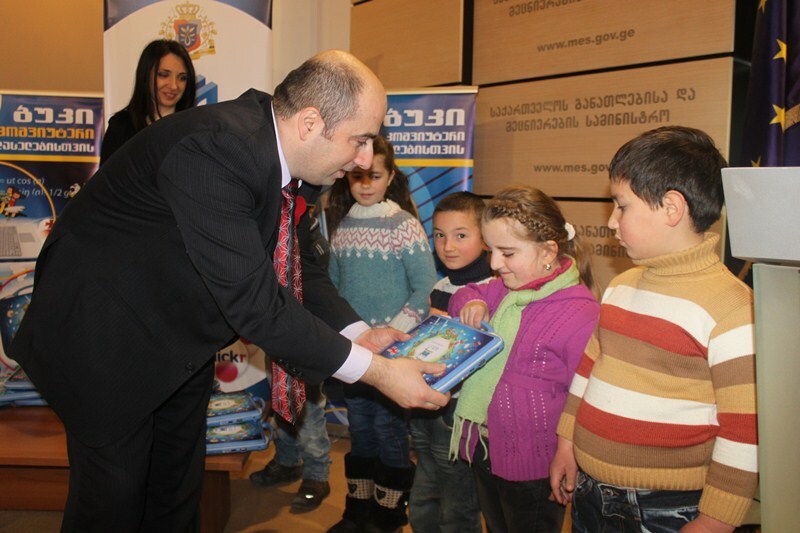 Deputy Minister Nodar Surguladze presented net-books to 19 successful 2nd and 3rd graders. 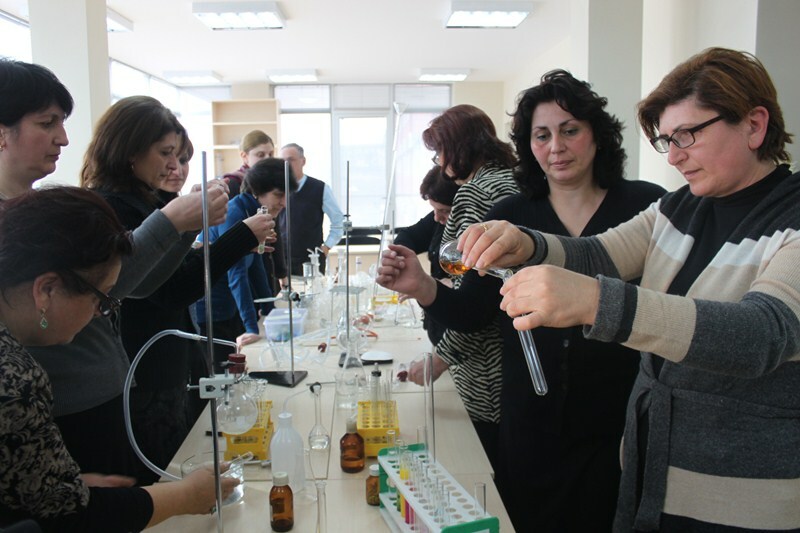 In 2012, certified teachers of the natural sciences will take a separate exam in conducting of the scientific experiments and will receive an additional 75 GEL to their salaries. In order to prepare teachers for certification exams, the National Center for Teacher Professional Development organizes seminars and training for teachers throughout Georgia. The Ministry will provide financing for another 70 scientific and research projects. The projects will be oriented on producing new knowledge, analyzing innovative ideas and concepts, and developing high tech and industrial products, amoung other goals. First Deputy Minister, Koka Sepherteladze, together with students from Tserovani public school #3, visited the Museum of Soviet Occupation. 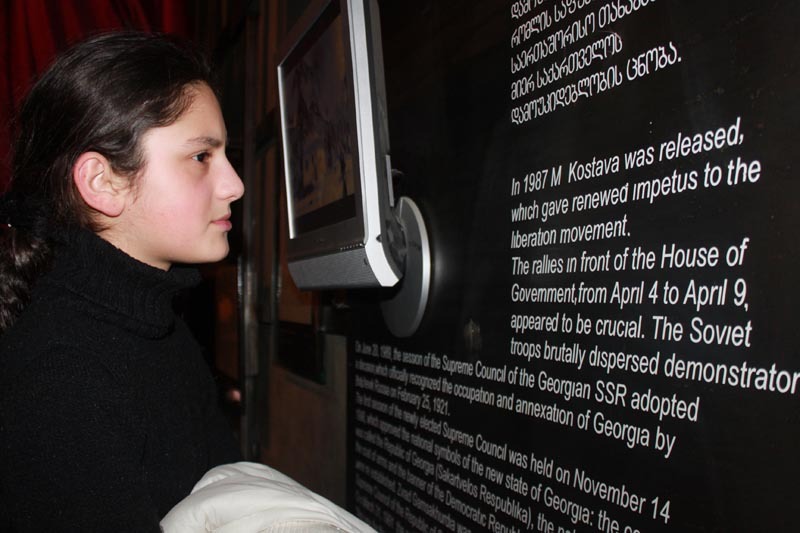 Every year, in the second half of February, the Ministry of Education and Science of Georgia organizes different events dedicated to the remembrance of and education about the Russian occupation of Georgia. 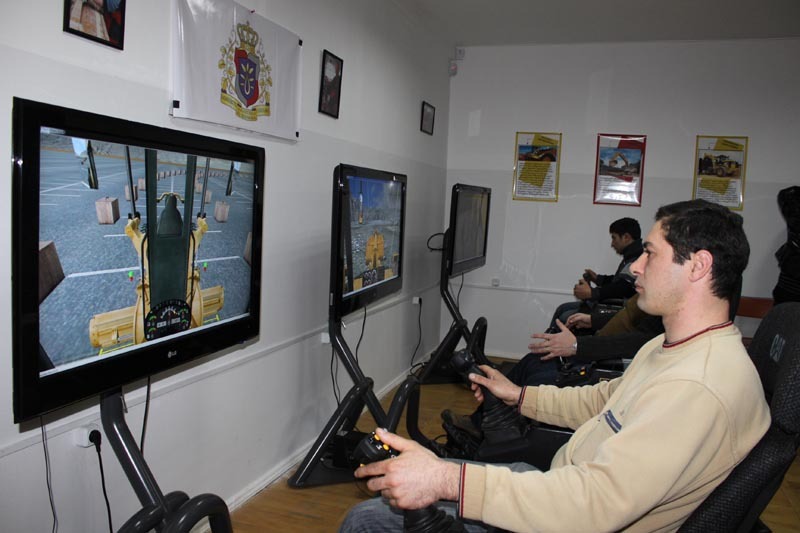 Resource Officers and representatives of Lukoil Georgia visited an orphanage and spent a day with the resident children. As a part of the joint event, the guests presented the children with gifts and helped the teachers of the orphanage to solve day-to-day issues. Schoolchildren of Tbilisi Public School #51 joined the Red Poppy Campaign, which has been organized by the Ministry of Education and Science of Georgia and Publishing House “Prime Time” in commemoration of fallen soldiers. The Ministry of Education and Science of Georgia is organizing the contest “Episodes of Russia’s Occupation of Georgia”. The aim of the contest is to fully inform students on Russian aggression in 1921 and in 2008. 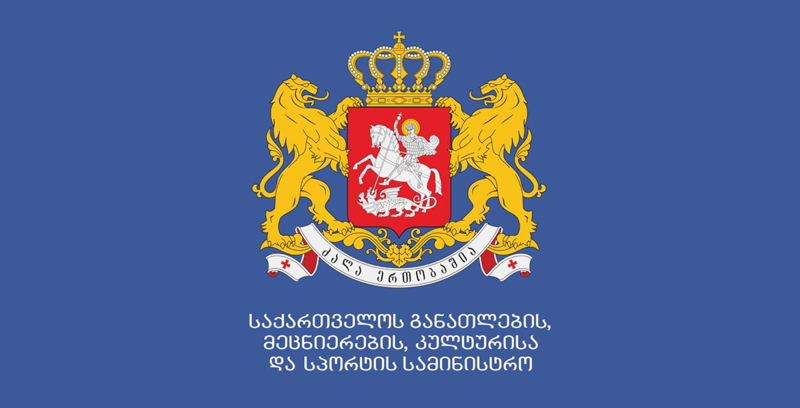 Education Management Information System (EMIS) is a newly established legal entity of public law under the Ministry of Education and Science of Georgia. Its current and ongoing projects, as well as the structure of the institution, were discussed during a presentation. 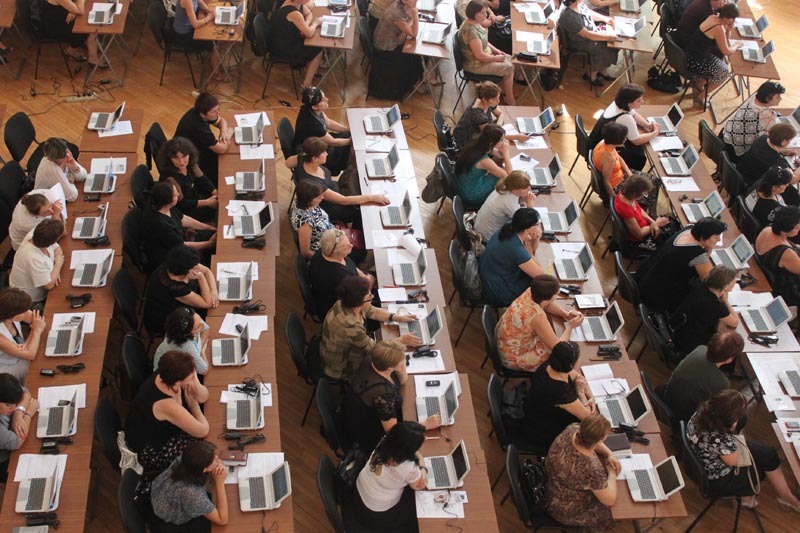 Four hundred fifty first graders of Caucasus University were presented with netbooks. The presentation ceremony took place in the head office of the TBC bank. 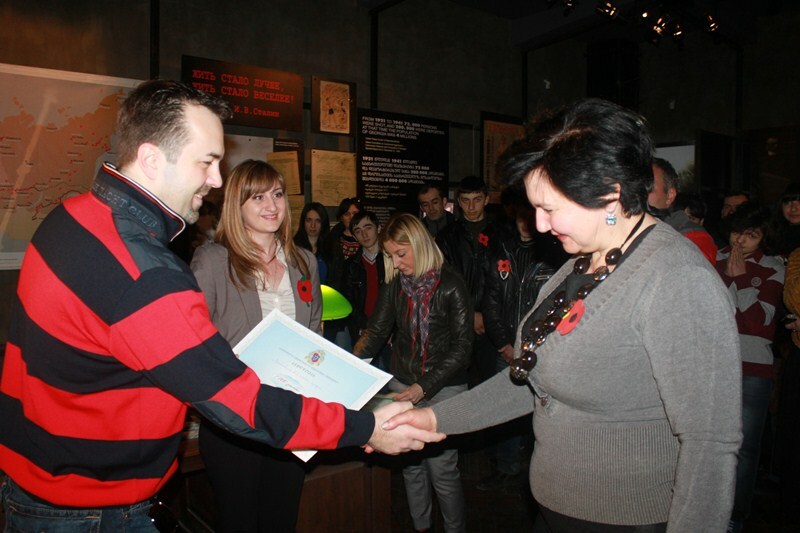 The program of awarding of all first graders of the mentioned institution has been running for four years already. 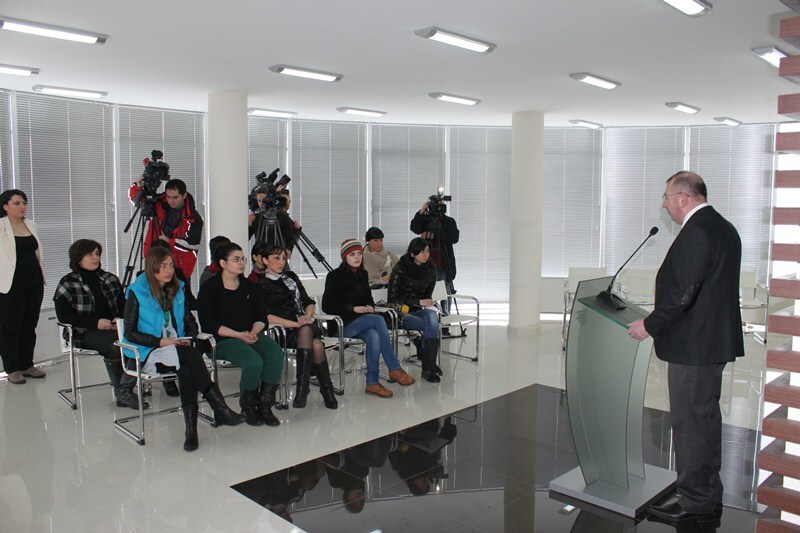 The ceremony was attended by the Deputy Minister, Nodar Surguladze, who also delivered a welcoming speech. In commemoration of fallen soldiers, the Red Poppy campaign has begun at Tbilisi Classical Gymnasium as a part of the Week of Occupation. As a symbol of remembrance, students will wear red poppy brooches for the next week. The preparatory trainings for the Certification Exams are underway at the Teachers’ House. Trainings for teachers in professional skills and their respective subjects are organized free of charge by the National Center for Teacher Professional Development. Every year, in the second half of February, the Ministry of Education and Science of Georgia organizes different events dedicated to the Russian occupation. 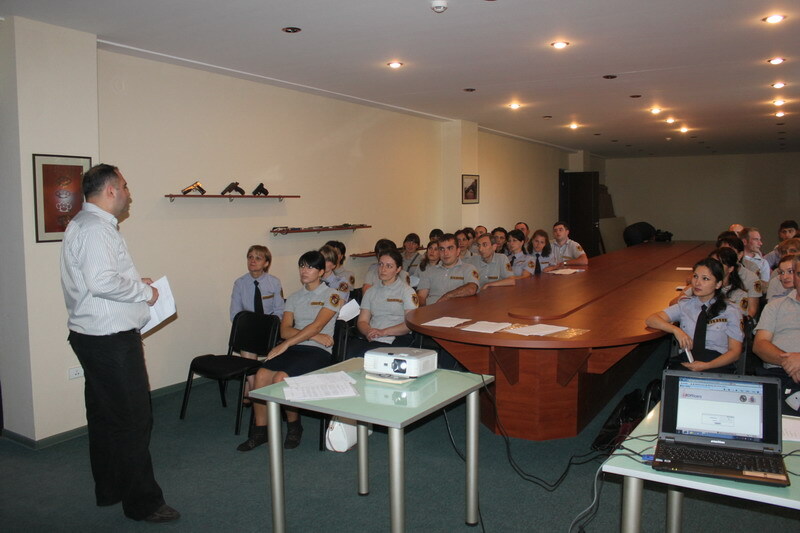 The aim of these activities is to fully inform students about Russian aggression in 1921 and in 2008. 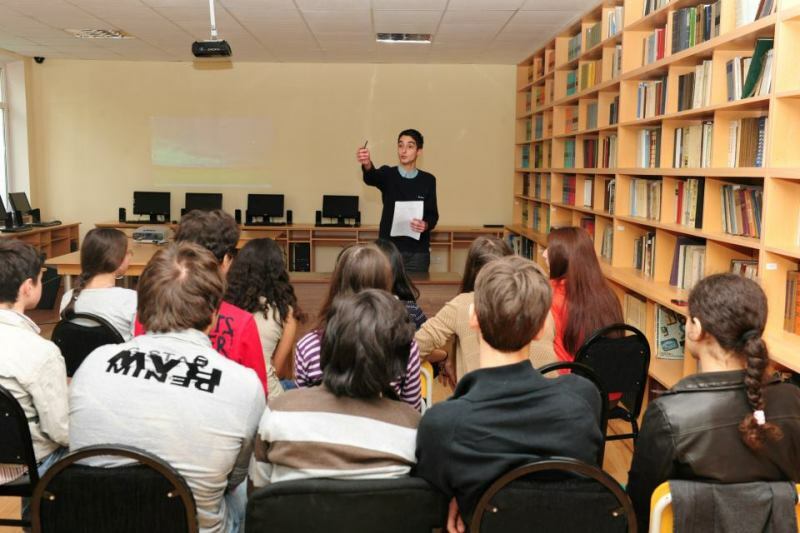 Georgian governmental organizations and agencies are becoming involved in the students’ employment project initiated by MES, “Summer Jobs,” during the summer holidays. An exhibition-fair of hand-made crafts produced by schoolchildren with special needs was organized at the vocational college “Ikarosi”. Handmade crafts, such as paintings, different applications, embroidery, tick felt and ceramic decorations, woven and hand-made dolls, and jewelry, were displayed at the exhibition-fair. Deputy Minister of Education and Science of Georgia, Giorgi Chakhnashvili, presented a personal computer to the socially vulnerable student of Abkhazia Public School #2, Shorena Gigashvili. The Ministry will fund the participation of researchers and scientists in international conferences, congresses, forums, symposia and seminars. 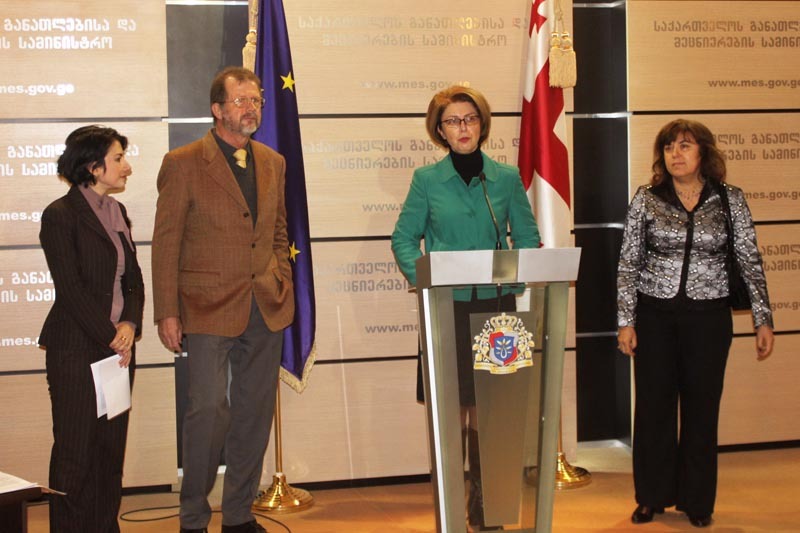 The winning projects will be selected as part of the grant competition administered by the Rustaveli National Science Foundation. In order to prevent law violation among youth, the Geopolitical Research International Center has created the book “My Rights and Responsibilities”. 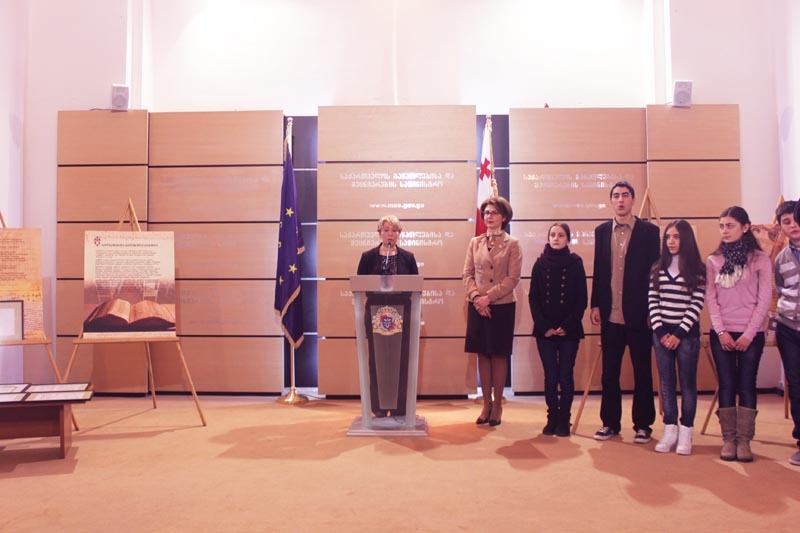 Deputy Minister of Education and Science of Georgia Irine Kurdadze held apresentation of the book for the stuents of Tbilisi Public School №24. 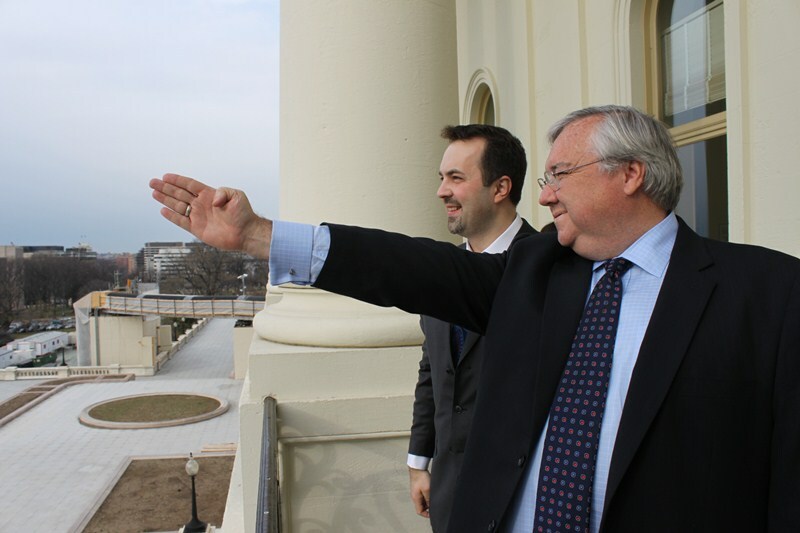 During his visit to the United States of America, the Minister of Education and Science of Georgia, Mr. Dimitri Shashkini, held a working meeting at the United States Congress. 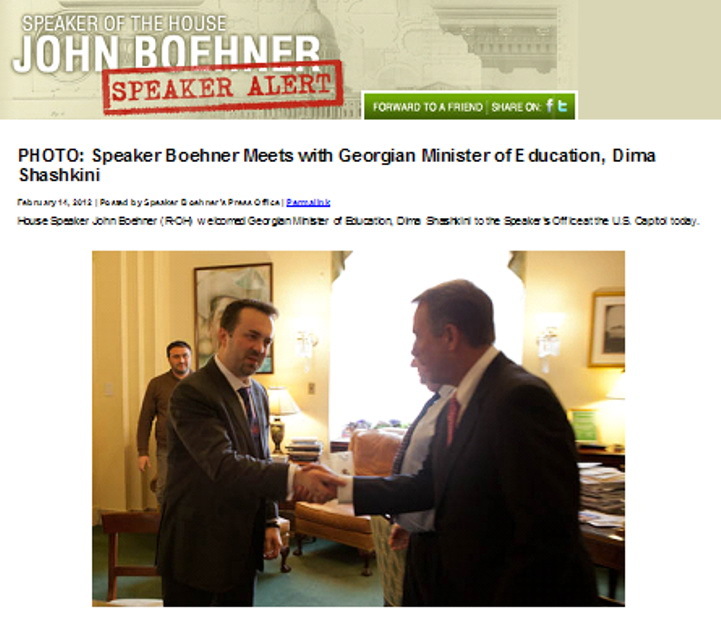 The Minister met with the Speaker of the United States House of Representatives, Mr. John Boehner. In the scope of his visit in USA, the Minister of Education and Science of Georgia, Dimitri Shashkini, met with Chief of Staff of the Speaker of the House of the US Representatives, Barry Jackson. Minister Dimitri Shashkini met with the Chairman of the US Congress Committee on International Relations, Steve Chabot. The current reforms and ongoing projects in Georgian education system were discussed at the meeting. Minister Dimitri Shahkini held a face-to-face meeting with congressman (R-PA) Mike Kelly. Mr. Mike Kelly positively assessed the reforms undertaken towards the enhancement of democratic institutions in Georgia, and took an interest in the different educational projects. As a part of his ongoing visit to the US, the Minister, Dimitri Shashkini, held a meeting with the Head of the Committee of Europe and Eurasia, Jean Schmidt. During this meeting, Jean Schmidt positively assessed the ongoing developments in the Georgian field of education and emphasized that the undertaken reforms will add much to the development of the whole country. Native English-Speaking Teachers continue to arrive to Georgia as participants of the educational program “Teach and Learn with Georgia.” Today, a new group of teachers arrived from different counties around the world. Business organizations and businessmen are becoming involved in the students’ employment project initiated by MES, “Summer Jobs,” during the summer holidays. Journalists of the Associated Press interviewed the Minister of Education and Science of Georgia, Dimitri Shashkini, who is currently paying an official visit to USA. In his interview, the Minister discussed the democratic reforms that are being implemented in Georgia, focusing particularly on the Georgian educational system. The Minister, Dimitri Shashkini, is currently conducting business in the US as part of an official visit. 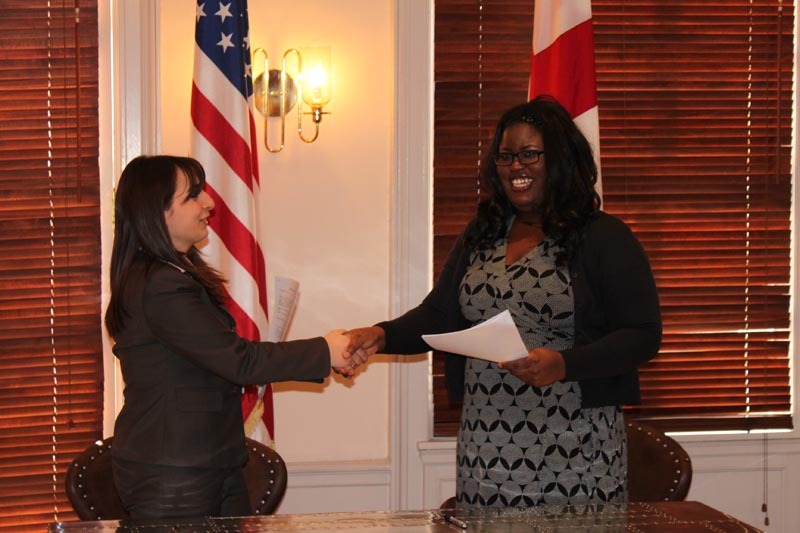 As part of his business plan, he oversaw the signing of a membership agreement between the American National Association of School Resource Officers (NASRO) and the Georgian Office of Resource Officers. The Minister of Education and Science, Dimitri Shashkini, is paying an official visit to the US. 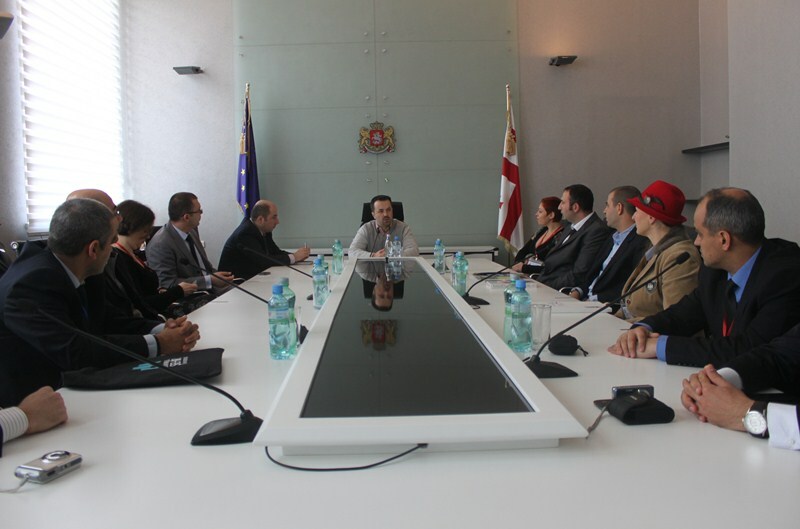 As part of his official tour, the Minister held a meeting at the IRI head office. 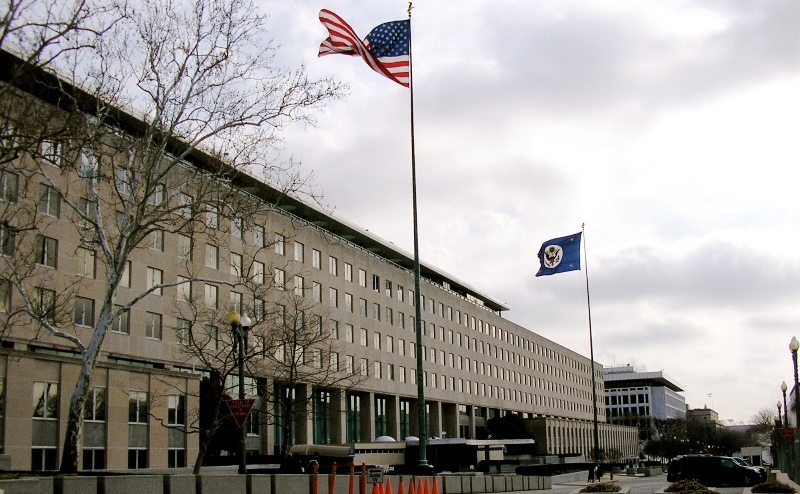 Bilateral cooperation of the US and Georgia was discussed at the working meeting. 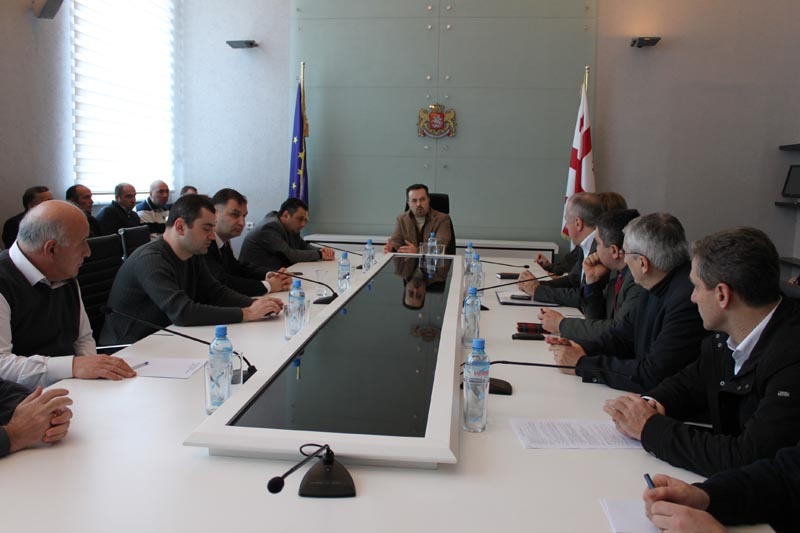 A delegation of the Ministry of Education and Science of Georgia, chaired by the Minister Dimitri Shashkini, is paying an official visit in USA. 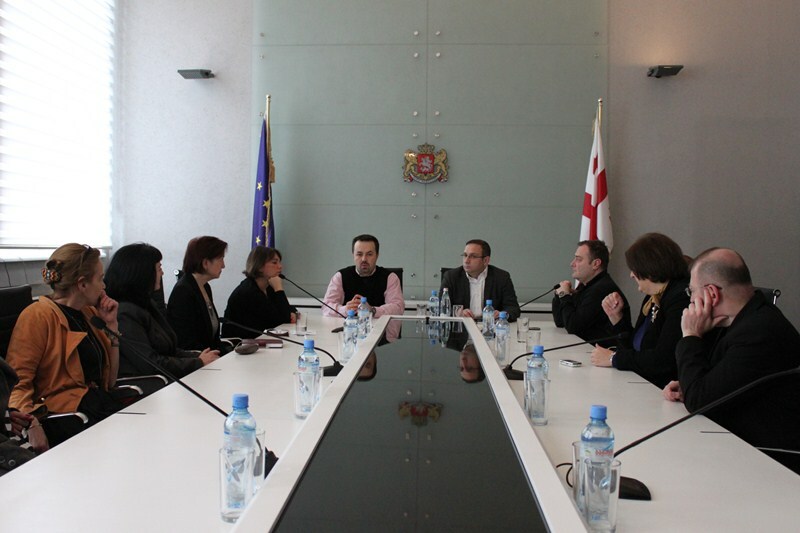 As part of the visit, a memorandum of cooperation was signed between the program of the Ministry “Teach and Learn with Georgia” (TLG) and ESL Certified. 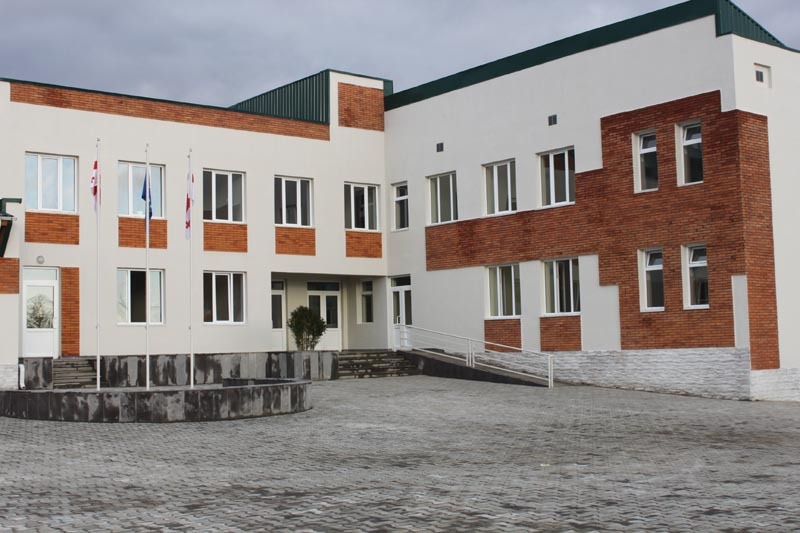 The President of Georgia, Mikheil Saakashvili, opened a “Future Classroom” in Akhaltsikhe Public School №5. In this multifunctional, technology-equipped classroom, all lessons are conducted with educational tools displayed on the electronic interactive board as well as on personal monitors for each student. The Ministry of Education and Science of Georgia has opened registration for the Teachers’ Certification Exams for the period of February 13-23. Teachers of all subjects can register for the exams. The Ministry of Education and Science of Georgia will open registration for the Teachers’ Certification Exams from February 13th to the 23rd. Teachers of all subjects will be able to register for the exams. 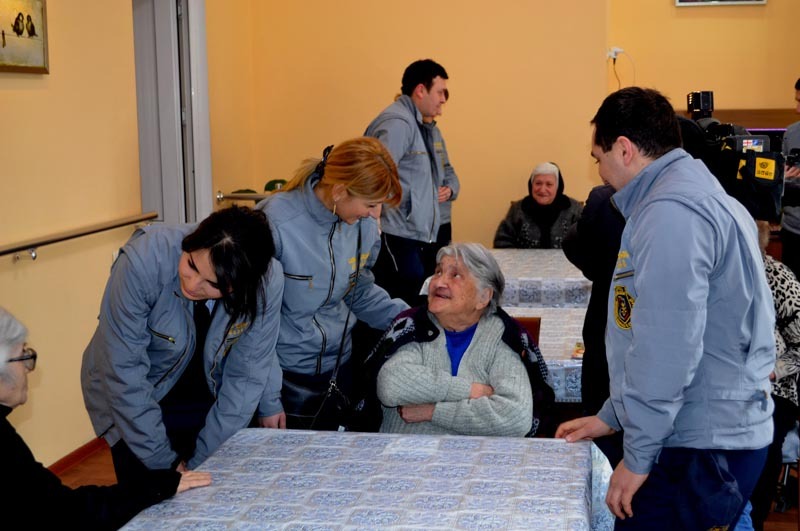 Resource Officers visited nursing home “Katarzisi”. They spent one day together with the elderly people and presented its residents with different gifts. Fifty resource officers, who have successfully passed their officer training, were awarded with certificates. 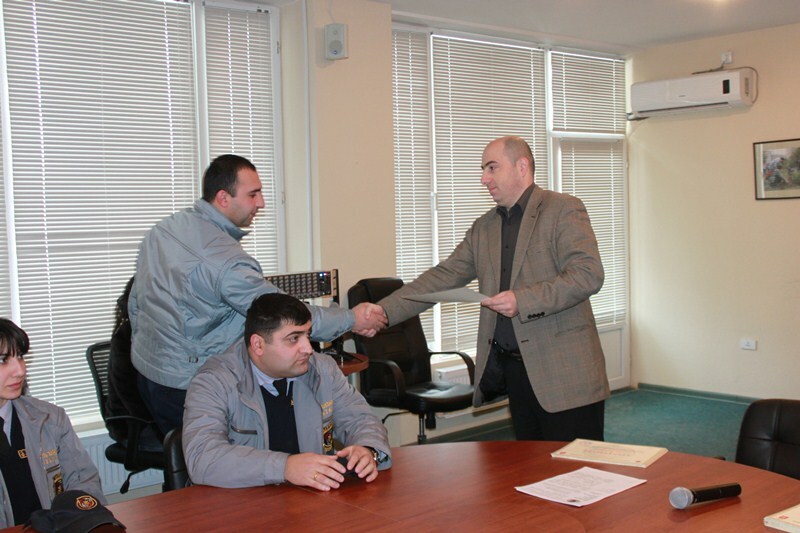 They took the training courses in the Academy of the Ministry of Interior. Teachers of English language from different regions of Georgia have passed a training course in Great Britain. The course was organized by the National Center for Teacher Professional Development. By the initiative of the Ministry of Education and Science of Georgia, a new program, “Professional Retraining and Professional Orientation Trainings,” will be launched. In the scope of the program, 20,000 persons will be trained charged free in English Language, Computer Skills, and Professional Orientation. 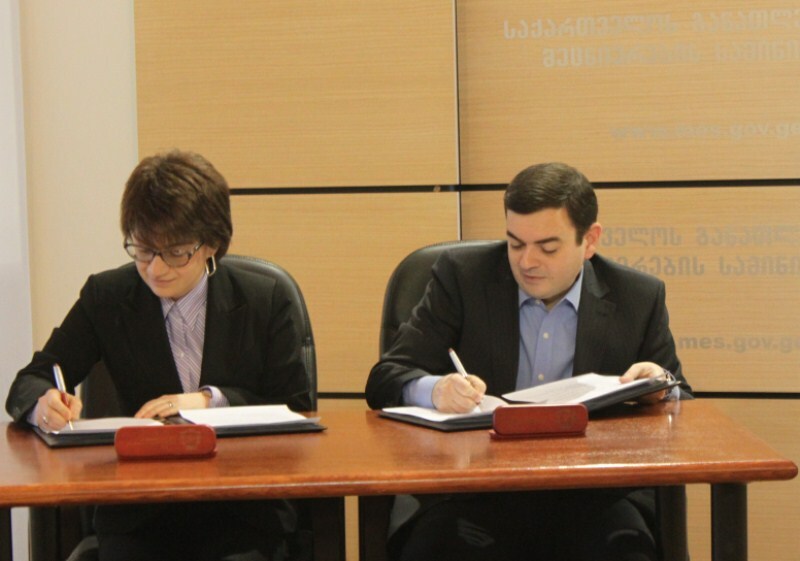 “Caucasus University” signed a memorandum of cooperation today with Georgian public and private schools. As part of the memorandum, Caucasus University will organize teacher’s training courses (in foreign languages, IT and Mathematics) and provide assistance to the selected schools in developing their websites. The registration of candidates for the public school principals’ contest started today. Interested persons can register online from the 9th February until the 9th March. The Prime Minister of Georgia, Nika Gilauri, and other members of the Georgian government, opened a “Future Classroom” in Zugdidi Public School #1. In this multifunctional, technology-equipped classroom, all lessons are conducted with educational tools displayed on the electronic interactive board as well as on personal monitors for each student. 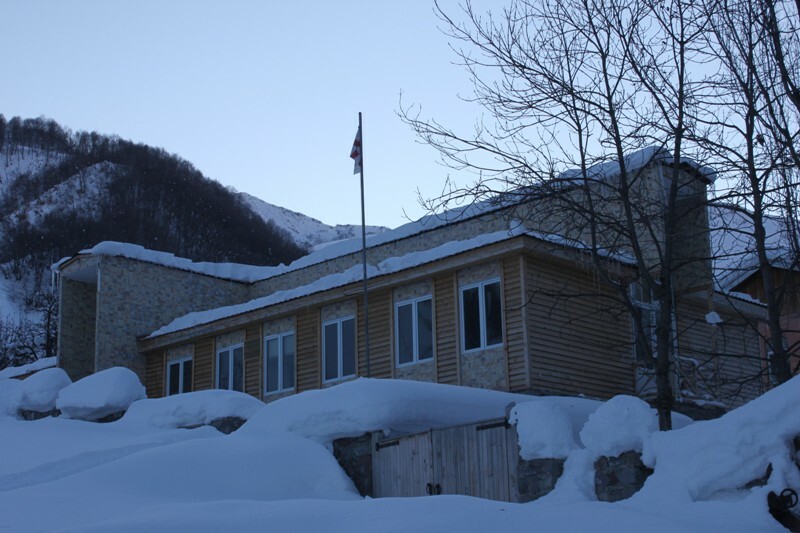 The Minister of Education and Science of Georgia, Dimitri Shahkini, announced today that schools throughout the whole country will be suspended until Monday, February 13th due to extremely heavy snowfall. This year, the online registration of students for the nationwide Unified Entry Exams has been activated to the fullest extent. The Minister of Education and Science of Georgia, Dimitri Shashkini, attended the online registration of 12th graders at Public School #72. 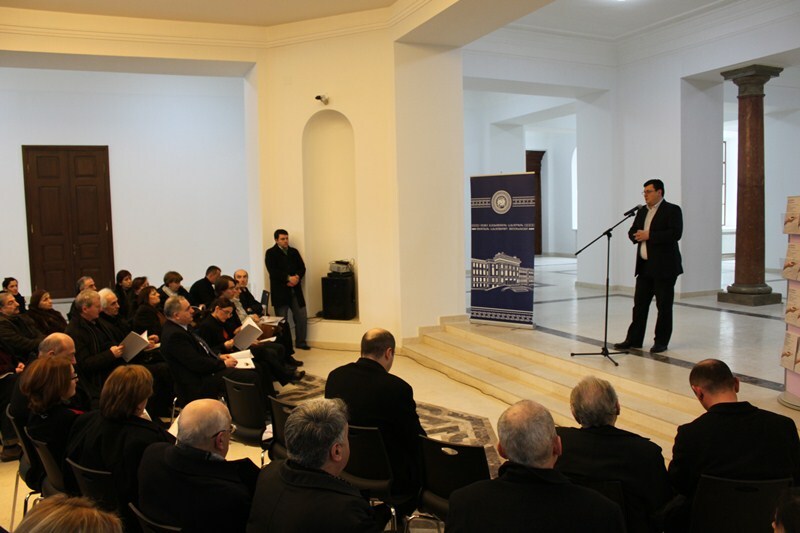 A Museum of Zoology was renovated and opened in Ivane Javakhishvili Tbilisi State University as part of the project “Development of Infrastructure of Universities”, initiated by the Ministry of Education and Science of Georgia. The library of the Georgian Technical University was renovated and furnished with new rooms and depositories. The renewed library was opened by the Chairmen of the Parliament of Georgia, David Bakradze, and the Minister of Education and Science of Georgia, Dimitri Shashkini. 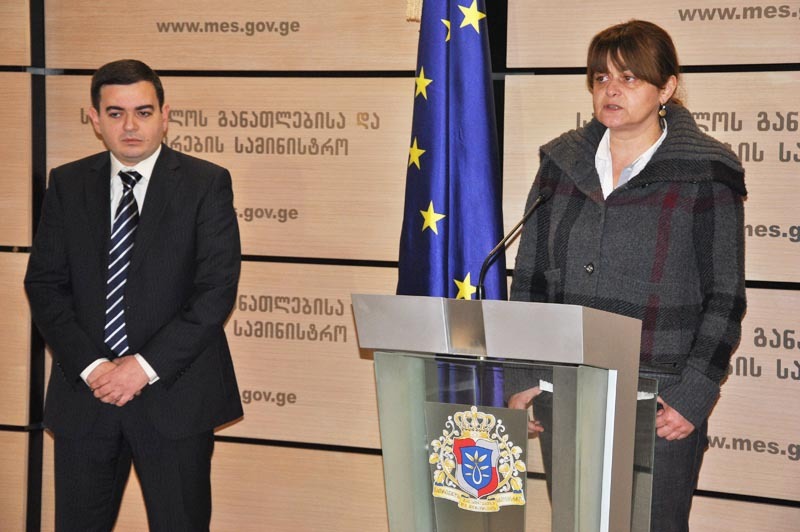 The Minister of Education and Science of Georgia, Dimitri Shashkini, met with media representatives in Gudauri, and discussed with them some previously implemented activities as well as the new initiatives of MES. The Resource Officers of Rustavi schools visited an orphanage in Rustavi and presented the children with gifts. In the scope of the event, children showed their crafts to the guests and spoke about their future plans. 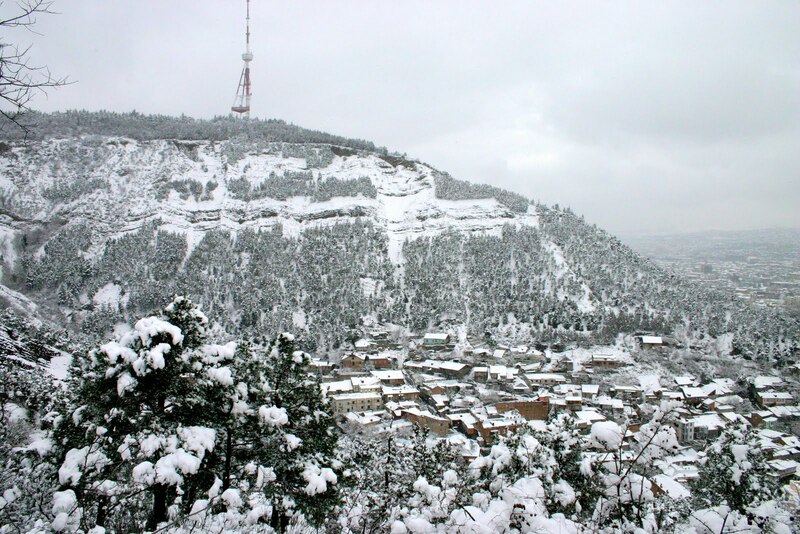 The Minister of Education and Science of Georgia, Dimitri Shashkini, visited the public schools of Mtskheta-Mtianeti Region to personally assess the current problems caused by a heavy snowfall. 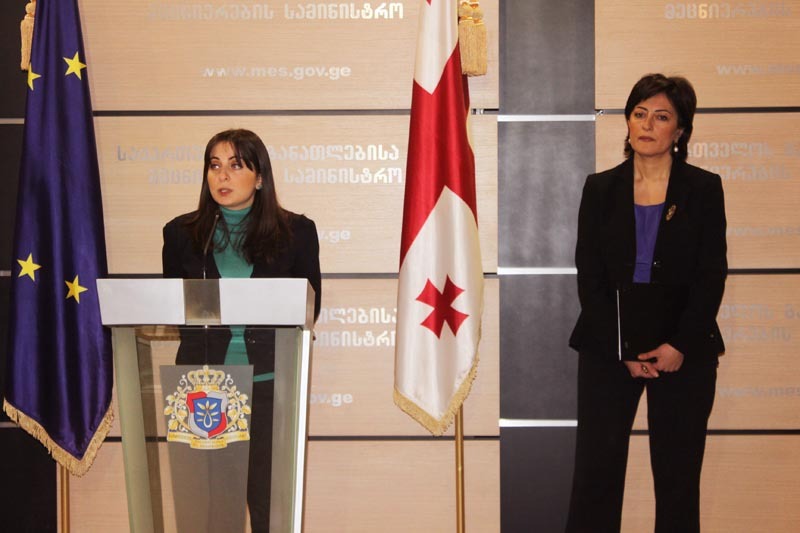 The Deputy Minister of Education and Science of Georgia, Giorgi Chakhnashvili, and Manager of the “KazTransGas-Tbilisi” company, Ana Taktakishvili, signed a memorandum which envisages “KazTransGas-Tbilisi” company providing a technical service for natural gas equipment at Tbilisi public schools. Georgia was elected as the Vice-president of the International Bureau of Education of UNESCO for the second time. 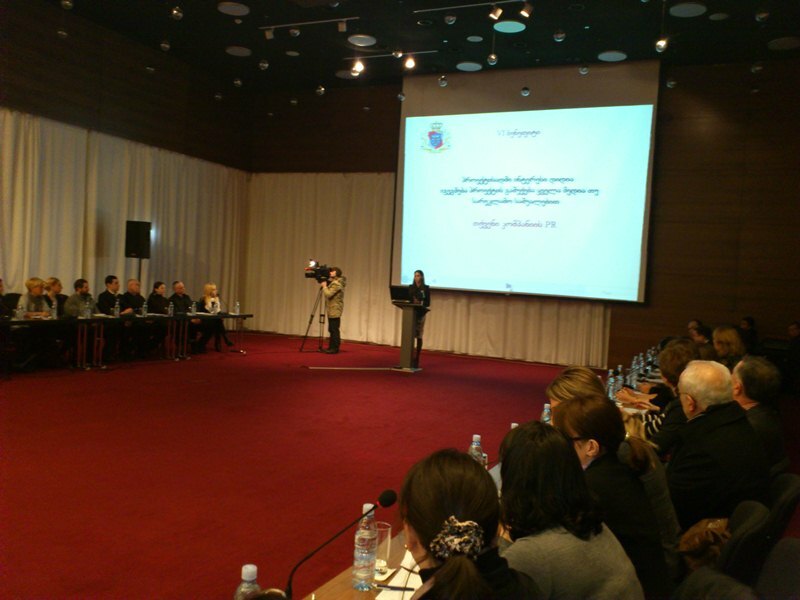 UNESCO’s choice is in direct recognition of the achievements of the current educational reforms implemented by the Ministry of Education and Science of Georgia. The Ministry of Education and Science of Georgia has decided to symplify the procedures for student mobility and to set the time for students’ mobility for spring semester from February 3 to February 15. 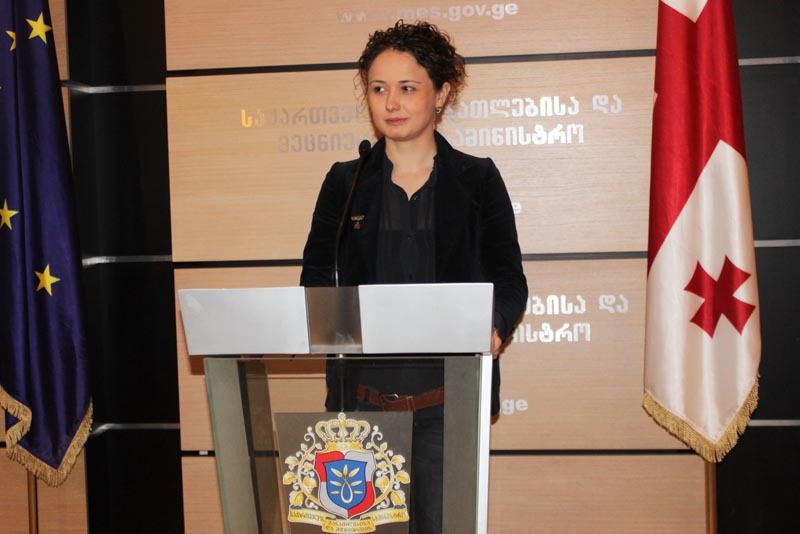 The Deputy Minister of Education and Science of Georgia, Irine Kurdadze, attended an Employers Forum organized by Vocational College “Ikarosi” and the Georgian Employers Association. The Minister of Education and Science of Georgia, Dimitri Shahkini, visited a swimming competition, which was held as part of a sports class at Public School №175. The winners were awarded and congratulated by the Minister. 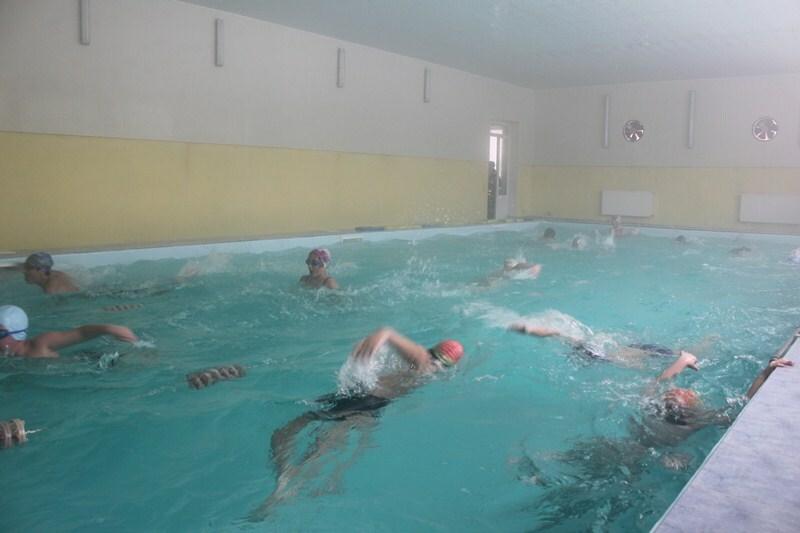 Last year in Public School №175, a new swimming pool was opened by a Presidential initiative to replace physical fitness lessons with sport classes. 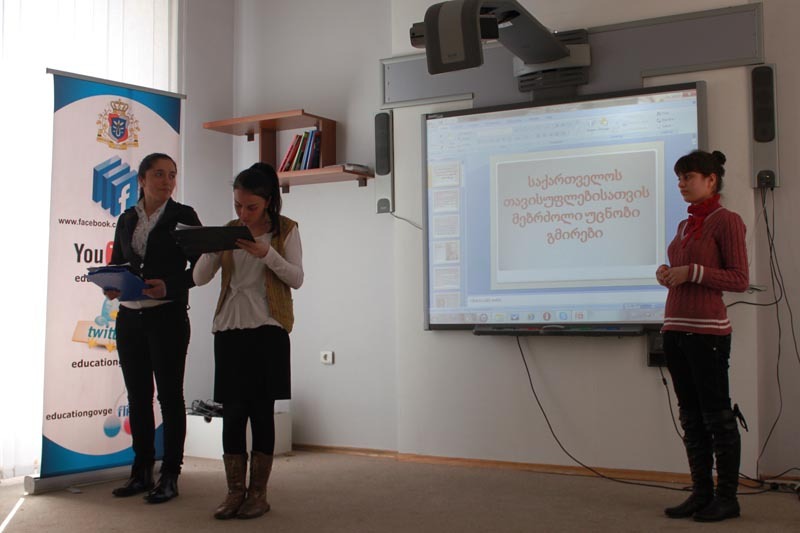 Georgian teachers of first grade, who integrate the new “Buki” net-books into their instruction, will participate in “Partners in Learning Georgian Forum 2012," a contest of innovative projects organized by “Microsoft Georgia”. 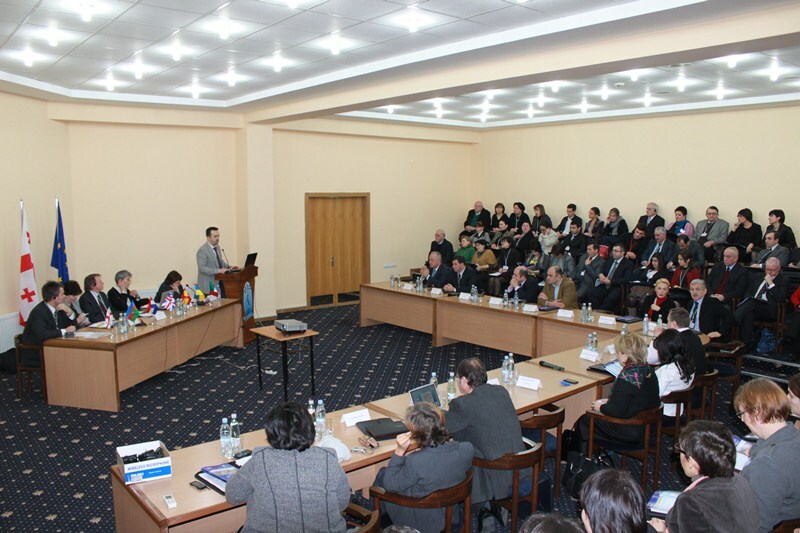 With the cooperation of the Ministry of Education and Science of Georgia, the Swiss Cooperation Office for the South Caucasus (SDC), and the Georgian Agency of the International Organization of Migration (IOM), the project “School Education to contribute to the Prevention of Trafficking among People of Armenia, Azerbaijan and Georgia” will be implemented. 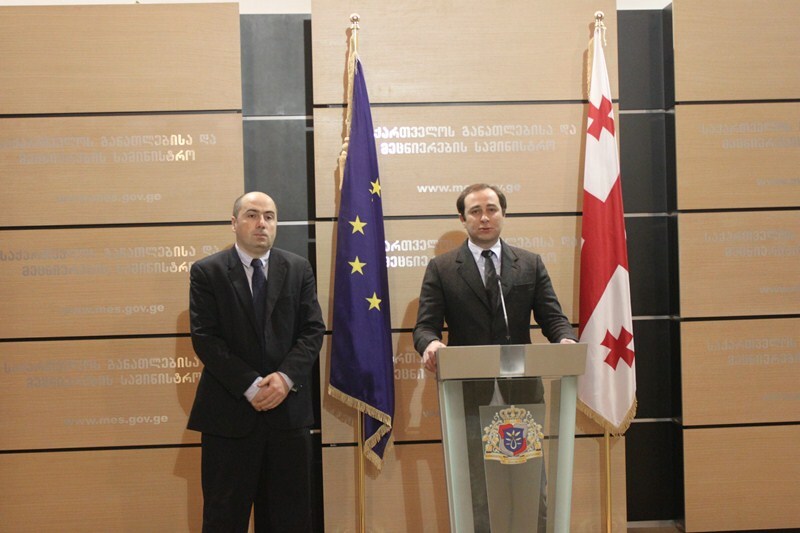 The Minister of Education and Science of Georgia, Dimitri Shashkini, and the President of the Georgian Chamber of Commerce and Industry, Kakha Baindurashvili, signed a memorandum which aims to involve the business organizations of the Georgian Chamber of Commerce and Industry in a project called “Summer Jobs for Students”. In the scope of the program “Teach and Learn With Georgia”, another group of English language teachers arrived in Georgia from the USA, Great Britain, North Africa, Australia, and Lithuania. 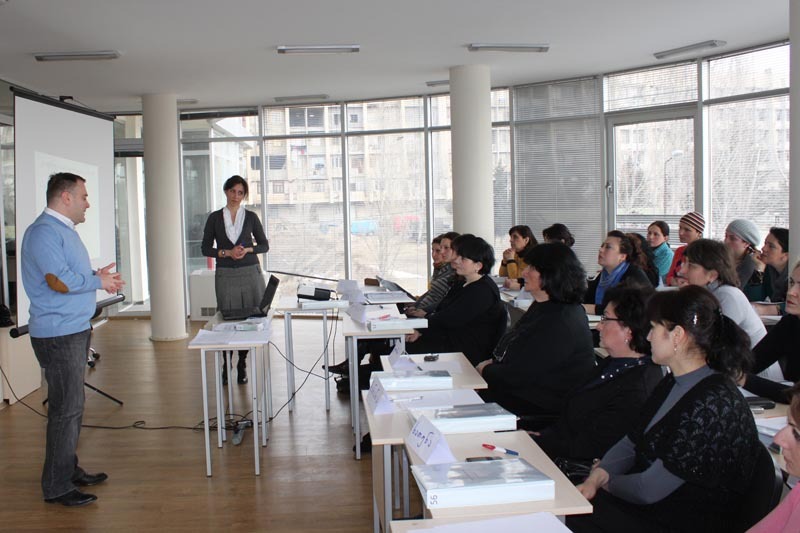 On the grounds of Tbilisi State Medical University, a training centre for academic personal has been created. University’s students and professors will have the great opportunity to pass internship programs and learn new methodologies in leading European medical centers. 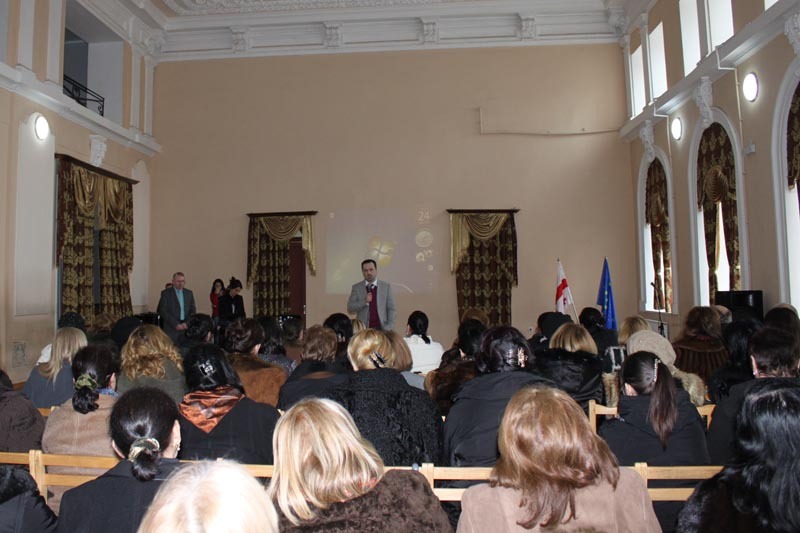 At a seminar, organized in Bakuriani, Deputy Minister of Education and Science of Georgia Giorgi Chakhnashvili held a working meeting with 100 School Resource Officers of Tbilisi. The Deputy Minister summarized the previous years activities of the Office of Resource Officers and positively evaluated SROs work. 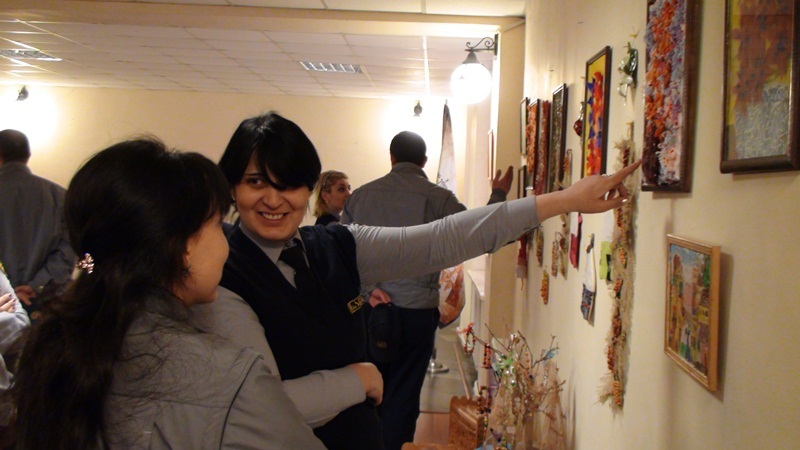 An exhibition of hand-made crafts produced by special needs schoolchildren from Tbilisi Public Schools № 200, 198, and 203, and Kutaisi Public School №45 was held in the Teacher’s House. 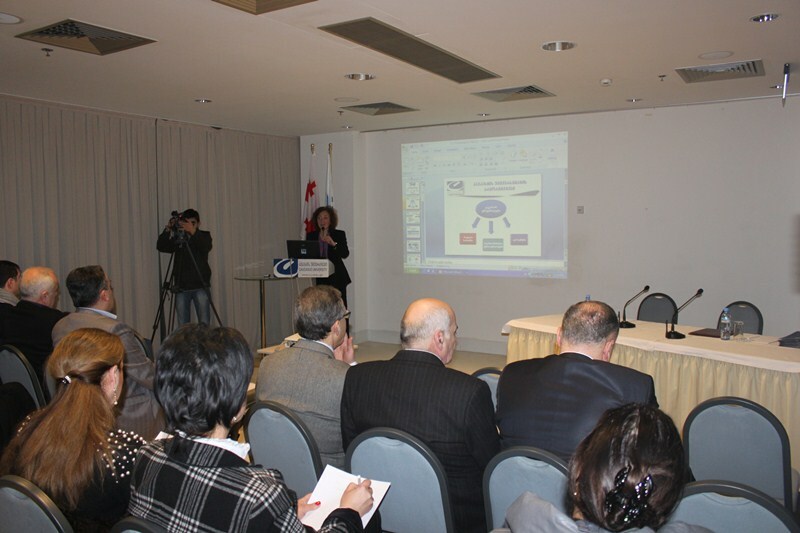 The event was attended by the Head of the National Center for Teacher Professional Development, Gia Mamulaishvili. 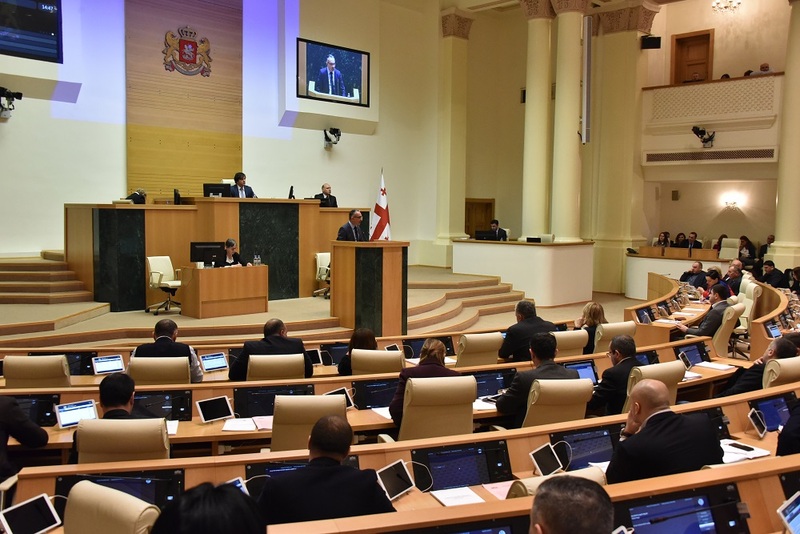 The Ministry of Education and Science of Georgia continues to work to 5 year strategic plan. 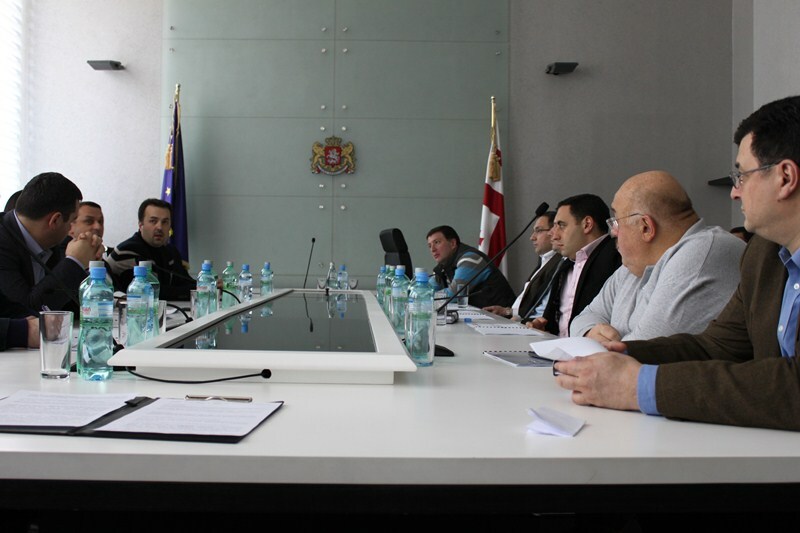 The First Deputy of Minister, Koka Sepherteladze, held a meeting with the members of committee working on development 5 year action plan. 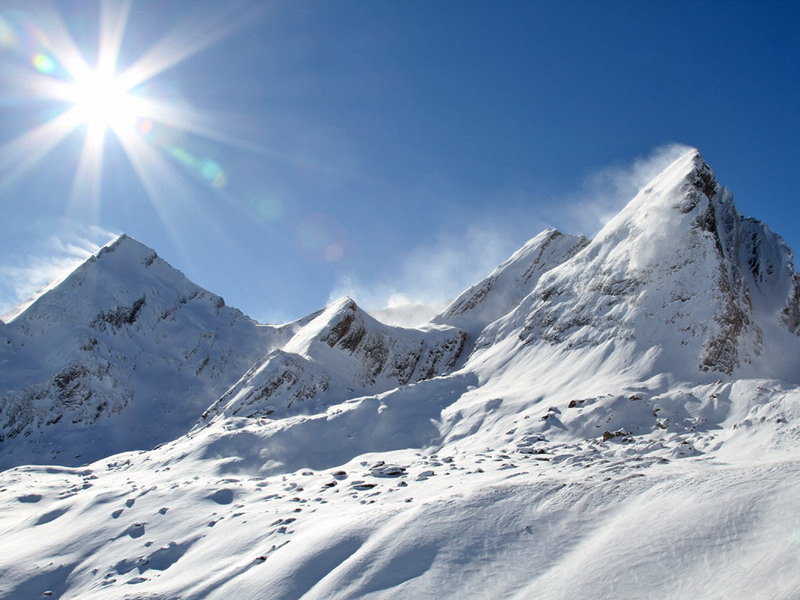 Georgian scientists recently have developed a new methodology of determining weather forecasts and used it to generate a climate calendar for different regions. This project was financed by the Ministry of Education and Science of Georgia in the scope of the State Scientific Scholarship Competition. The Minister, Dimitri Shashkini, met the staff of the vocational college “Spektri,” its students, and teachers, and introduced to them a new model of funding for vocational colleges. The Ministry of Education and Science of Georgia is developing certification exam programs for teachers of Esthetics. First Deputy Minister Koka Sepherteladze met 200 teachers of music, applied, and fine arts and introduced this innovation to them. A demonstrative lesson in Geography was held for the schoolchildren of Rustavi Public School #24 at the “Future Classroom” of Tbilisi Experimental School #1. The interactive lesson was conducted using a Smart Board and was attended by the Minister of Education and Science of Georgia. Minister of Education and Science of Georgia Dimitri Shashkini held a presentation of the new electronic program – Skoool Georgia – at Tbilisi Public School #143. 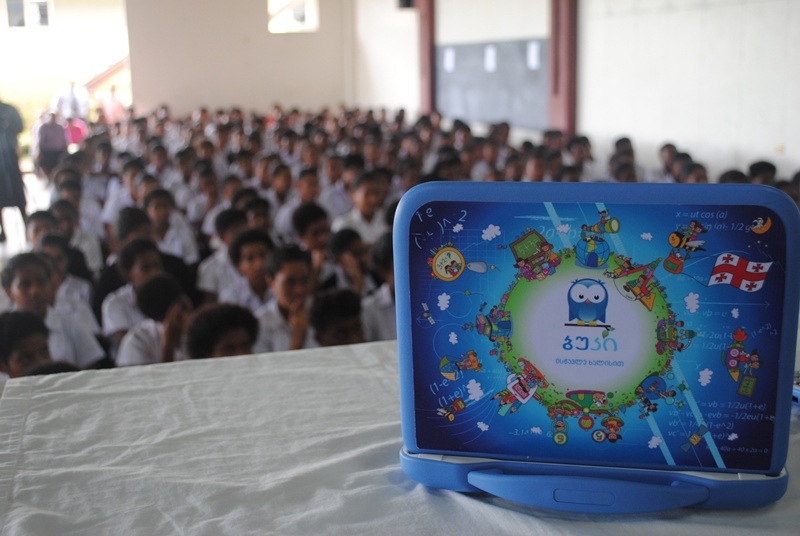 The "Skoool Georgia" program will give children the opportunity to use innovative, interactive, and very interesting educational programs. Upon the initiative of the President of Georgia, Mikheil Saakashvili, the Batumi Georgian Dance Company “Khorumi” departed for Malta last week. Seventy members of the Batumi Dance Company, who are the students of Batumi public schools, are taking an intensive English language course in the framework of an MES educational program. 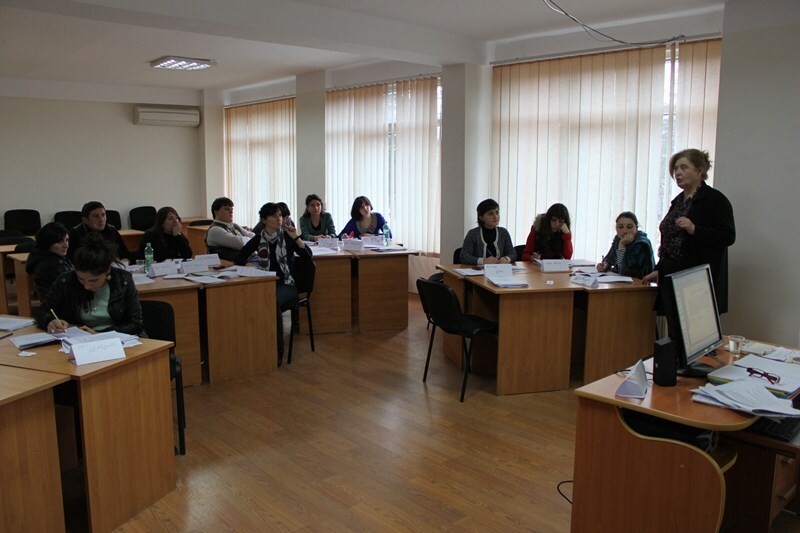 The participants of “Georgian Language for Future Success” are currently being trained. 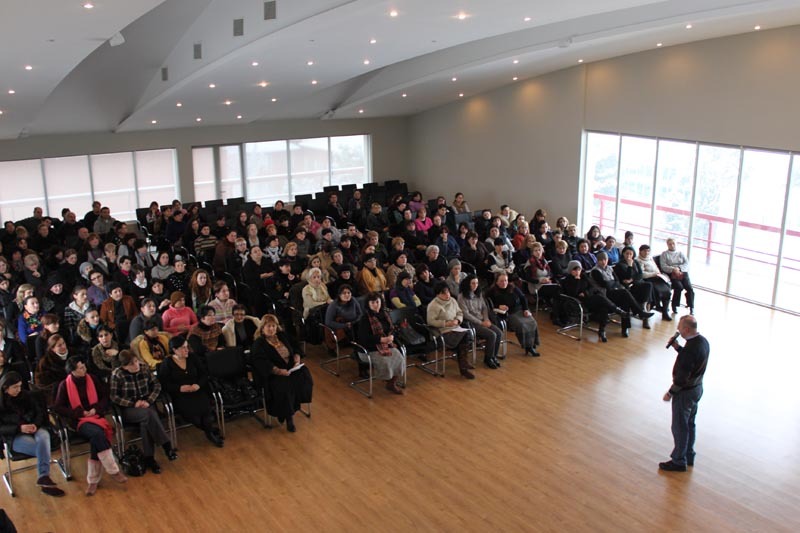 After passing a week-long training, 160 teachers will commence their activities in the non- Georgian schools of Samtskhe- Javakheti, Kvemo Kartli and Kakheti regions along with local teachers of the Georgian language. 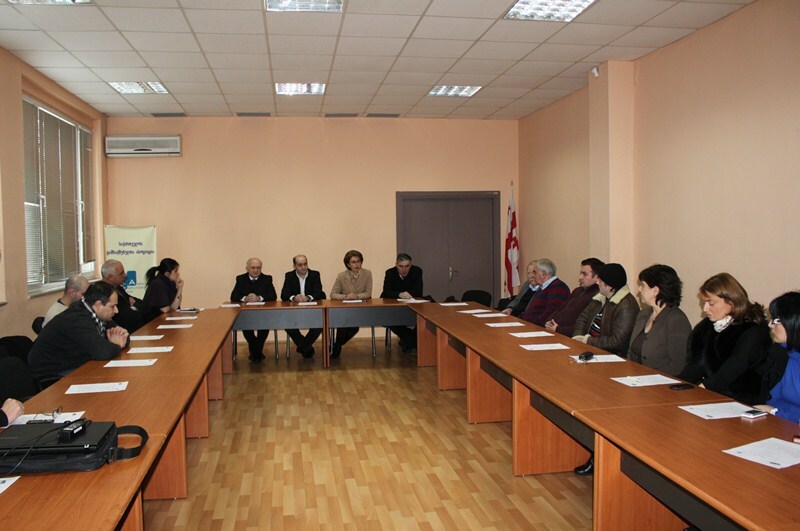 The Minister, Dimitri Shashkini, the Head of the National Center for Teacher Professional Development, Gia Mamulashvili, the Mayor of Kutaisi, nd Giorgi Tevdoradze attended a teacher training in Kutaisi Public school №1. The Minister of Education and Science, Dimitri Shashkini, held a meeting with 200 teachers of physical education in the Teacher’s House and introduced them to new developments in the exam program for physical education. 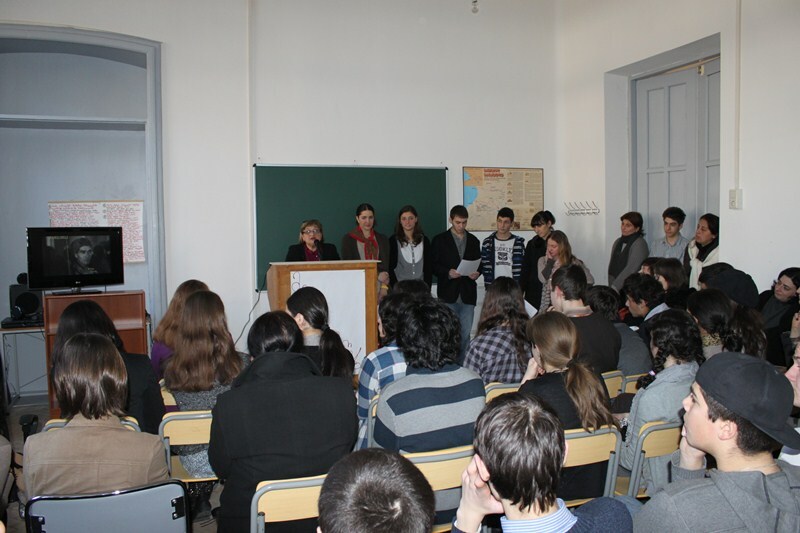 A Presentation of the popular bilingual scientific journal “TSU Science“ was held at Tbilisi State University. The event was attended by the Minister, Dimitri Shashkini, TSU Rector, Alexander Kvitashvili, members of Parliament, and scientists. The National Center for Teacher Professional Development is organizing training for teachers of the English language in Great Britain. 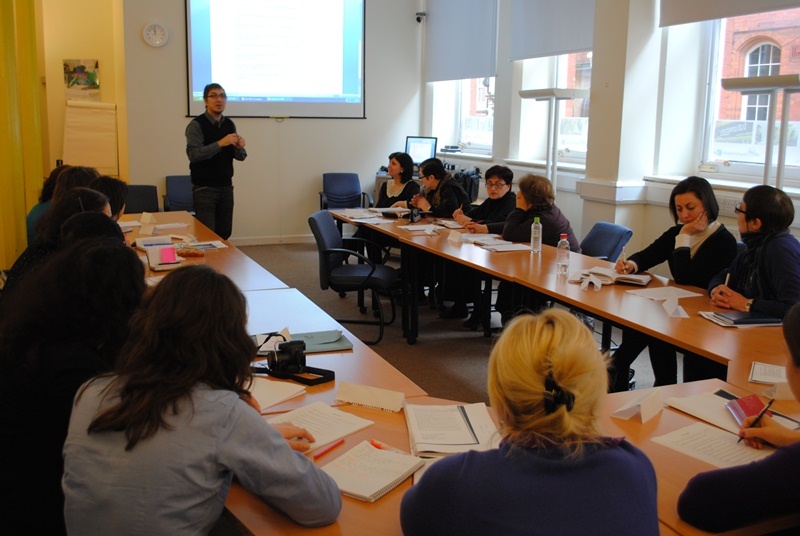 From January 21 to February 3, 17 teachers from different regions of Georgia will take intensive training course at New College Nottingham. The Ministry of Education and Science of Georgia has started developing a long-term working plan for the next 5 years. Minister of Education and Science of Georgia Dimitri Shashkini held a working meeting with the members of the working plan committee. 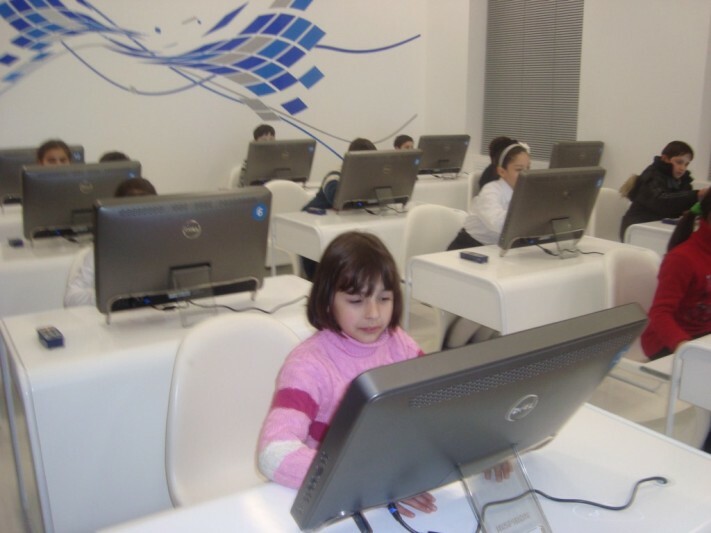 Two hundred thousand schoolchildren of Georgias general education institutions are currently participating in the National School Olympiad of 2011-2012. Schoolchildren are now taking the second tour of the Olympiad. Seven twelfth graders of Tbilisi Inclusive School #202 will take a two-weeks intensive English language program at New College Nottingham in Great Britain. This opportunity was given to them by the Minister of Education and Science of Georgia, Dimitri Shashkini. Minister of Education and Science of Georgia Dimitri Shashkini visited Tbilisi Komarov School of Physics and Mathematic. 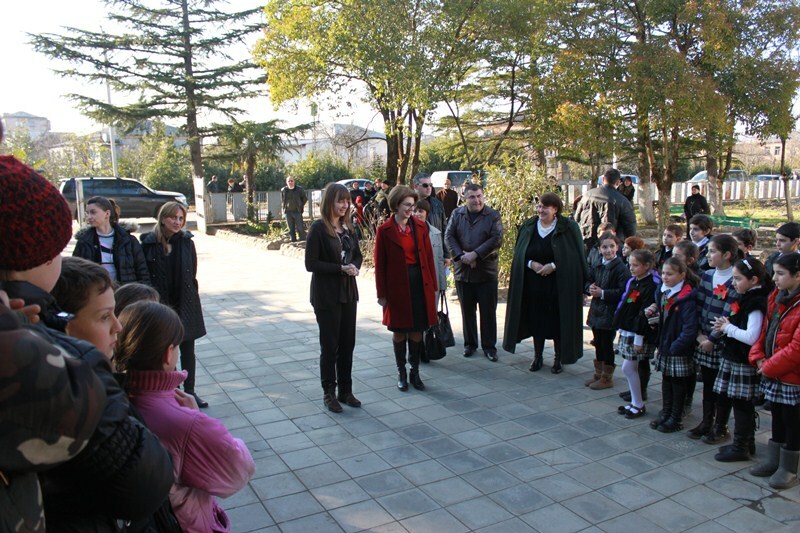 Minister congratulated schoolchildren on the beginning of the new semester and observed the newly rehabilitated hostel. 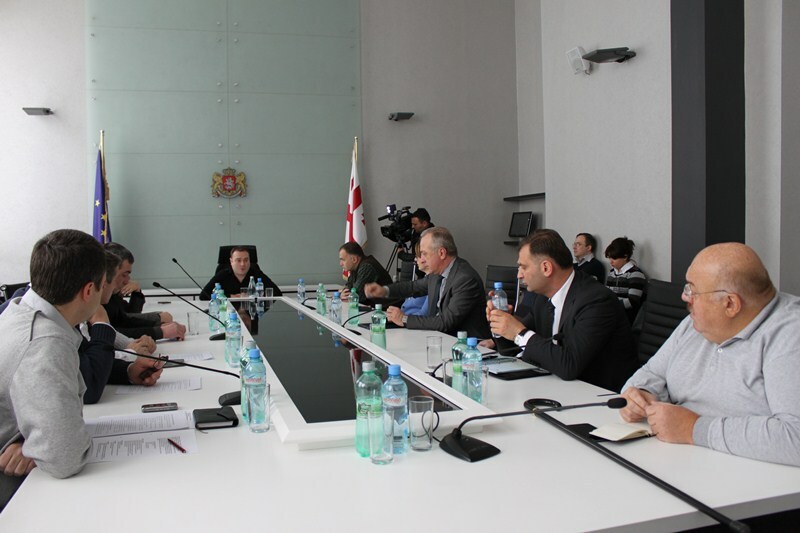 The Minister, Dimitri Shashkini and chess grandmaster, Garry Kasparov, signed a cooperation agreement that envisages popularization of the Chess among the youngsters. Before the signing ceremony, the Minister and the former world chess champion played a friendly chess game. The special committee was created to elaborate exam programs for the teachers of music, fine and applied art. 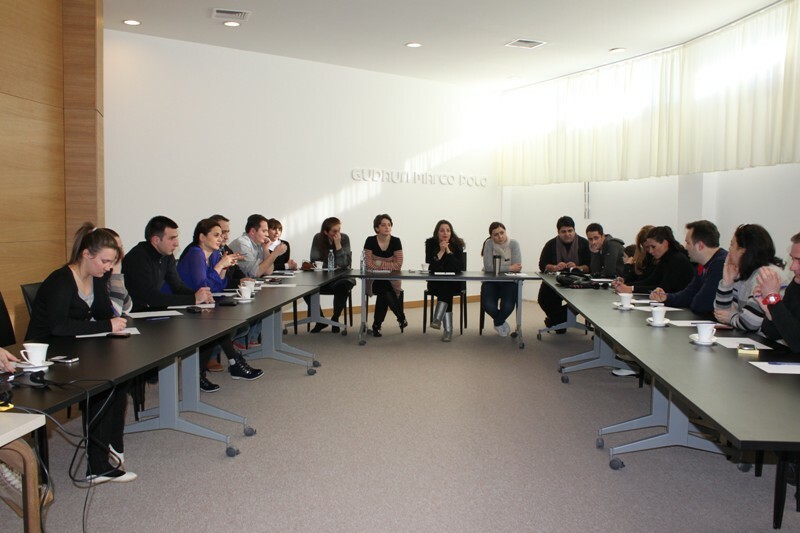 The committee meeting was attended by the Minister, Dimitri Shashkini and the Minister of Culture, Nika Rurua. Minister of Education and Science of Georgia Dimitri Shashkini held a meeting with representatives from Russian media and human rights organizations. Minister shared with them the information about the reforms that are currently being implemented in the fields of education and science. Guests also had an opportunity to visit new Teacher’s House. The President of Georgia, Mikheil Saakashvili and the Minister of Education and Science of Georgia, Dimitri Shashkini opened a newly constructed school in the village of Nokalakevi. Up to 300 schoolchildren will be able to study in the new school which is supplied with the up-to-date inventories and fully meets the modern construction standards. 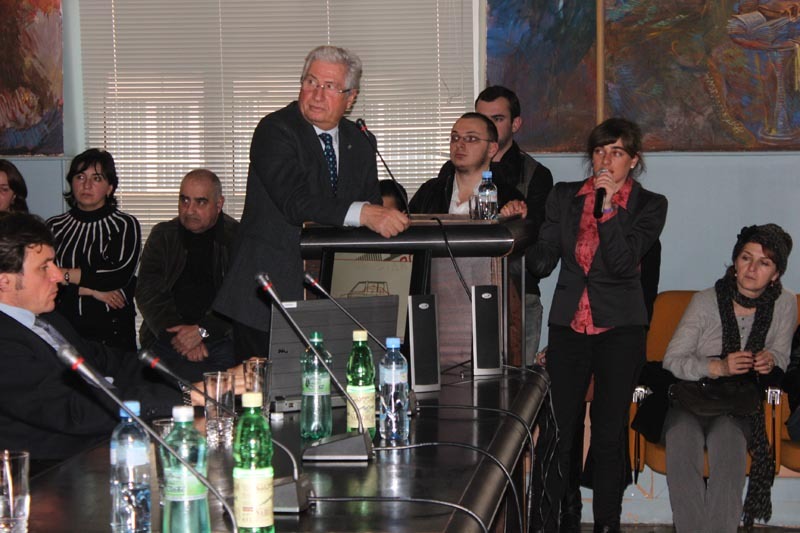 The famous Italian industrial designer Giorgetto Giugiauro gave a lecture in the Georgian Technical University. He shared his experience and talked about the ways of success. 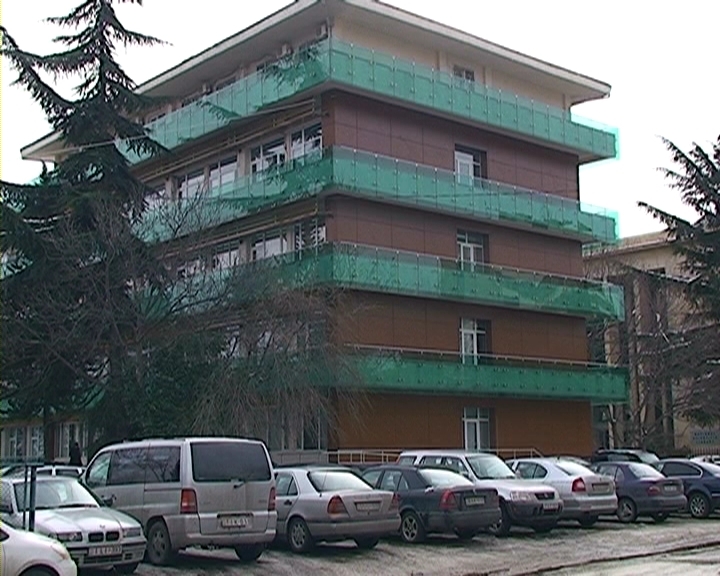 It was decided to open the first International School of Design and Architecture in the Caucasus region, on the basis of Georgian Technical University. The famous Italian industrial designer and inductee of the Automotive Hall of Fame Giorgetto Giugiuaro is paying an official visit to Georgia. Minister of Education and Science of Georgia Dimitri Shashkini met the guest from Italy. Famous Georgian industrial designer Zviad Tsikolia also attended the meeting. 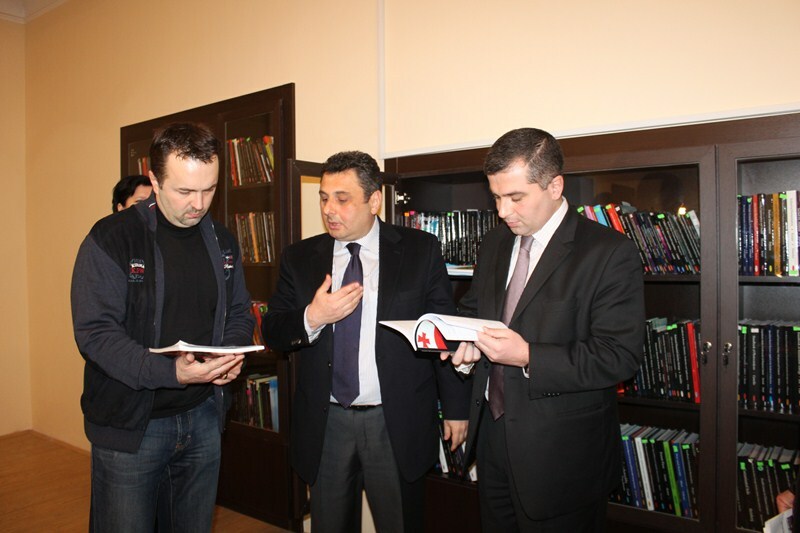 Minister of Education and Science of Georgia Dimitri Shashkini provided the library of Armenian Public School # 104 of Tbilisi with the newly published Georgian language textbooks for ethnic minority schoolchildren. 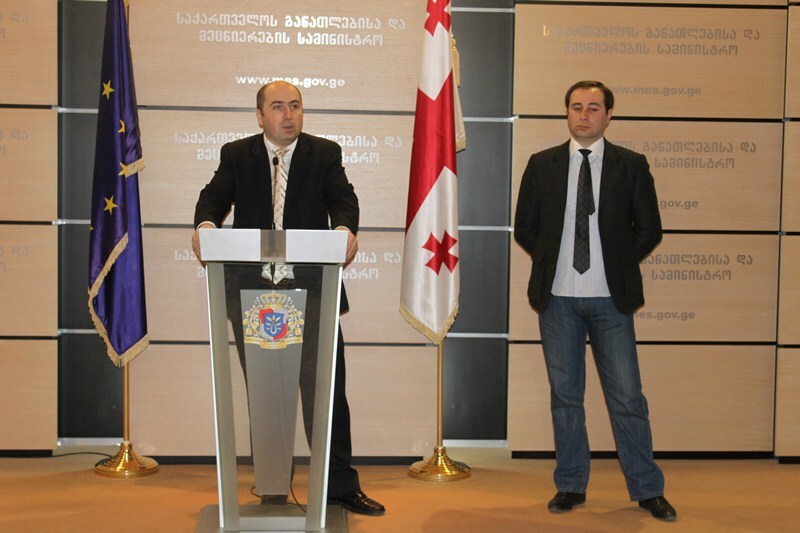 First Deputy Minister of Education and Science of Georgia Koka Sepherteladze awarded the winners of the contest “New Year in School”, Tbilisi Public Schools #51, #24 and #10 with Smart Boards. Native English-Speaking Teachers continue to arrive as participants in the educational program “Teach and Learn with Georgia.” Today, a new group of teachers arrived from different counties around the world. Upon the decision of the president of Georgia, the members of group “Candy” – the winners of the Junior Eurovision 2011 - will study an English Language at the New College Nottingham, UK. The Resource officers visited Iashvili Children Hospital supporting the children suffering from Leukemia and wished them a Happy New Year. Resource Officers met 40 adults at the center and spent one day with them. As part of the event, Resource Officers and Santa Klaus presented the children with sweets and other gifts.